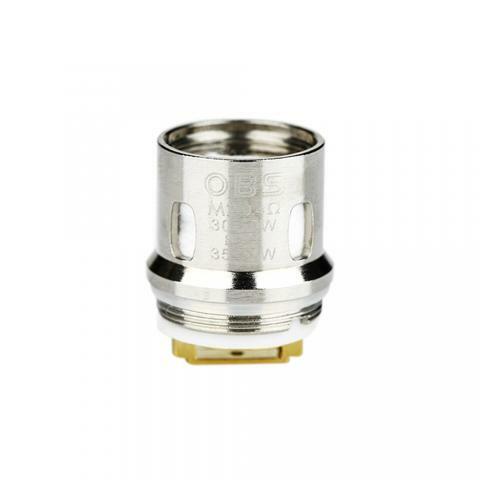 The OBS Damo Coil is designed for Damo subohm tank with huge cloud and optimal flavor. There are M2 0.4ohm single coil and M6 0.2ohm triple coil for you to choose from. The OBS Damo Coil is designed for Damo subohm tank with huge cloud and optimal flavor. There are M2 0.4ohm single coil and M6 0.2ohm triple coil for you to choose from. Just get them for your Damo to enjoy amazing vaping. OBS Damo Coil 5pcs/pack includes the OBS Damo M2 0.4ohm coil and the OBS Damo M6 0.2ohm coil.